If you are running your winch on your Jeep with a synthetic rope why not make sure it is protected with a Hawse Fairlead from Body Armor. This fairlead will guide your rope while winching and prevent it from fraying prolonging the life of your synthetic line. Made for winches 6,000-12,000lbs. Finish: Made from a anodized matte silver finish preventing corrosion & giving it durability from the outdoor environments. 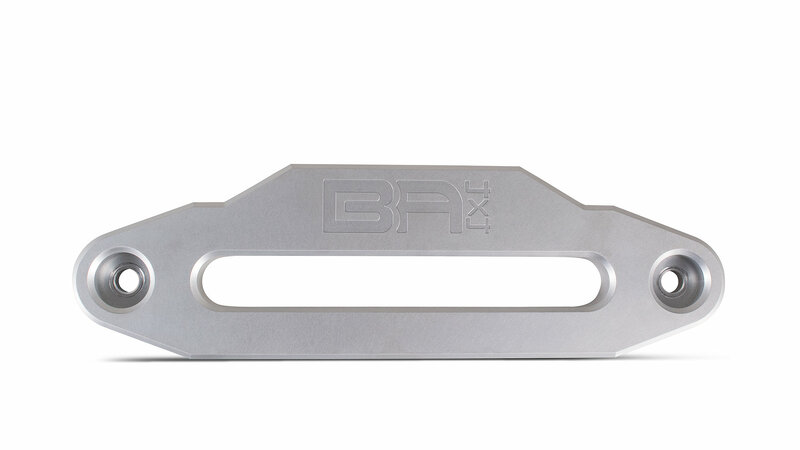 Bolt Pattern: This fairlead is 10" center to center. For Use: This hawse fairlead is for use with synthetic winch rope only. Can not be used with wire cable.